Warrnambool Veterinary would like to alert all our rabbit owners of a new strain of Calicivirus (RHDV1 K5) that will be released in the first week of March this year. Calicirus, or Rabbit Haemorrhagic Disease Virus, is spread by mosquitoes, insects and by contaminated objects and clothing and generally presents as sudden death in our rabbits. The release of the new virus is planned to help control wild rabbits that have become immune to the old strain of Calicivirus that was released in 1996. 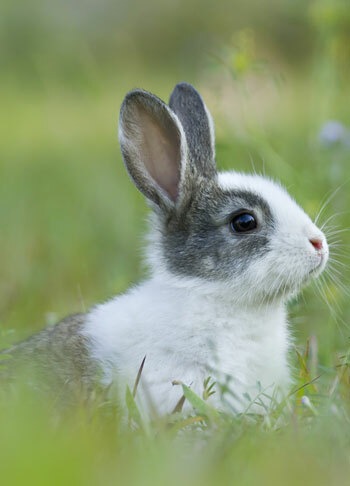 The existing Cylap Calicivirus vaccine is believed to be effective against this new strain of Calcivirus however the guidelines for vaccinating pet rabbits have been revised. The new recommendation is for rabbits to be vaccinated every 6 months rather than every 12 months. These recommendations will be adjusted as new research comes forward and evaluated for each particular rabbit. It is recommended that all pet rabbits be vaccinated within the last 6 months prior to the release of the RHDV1 K5 strain. In addition, it is strongly recommended that rabbits are kept in an insect proof enclosure or kept inside as a further measure to reduce the risk of contracting Calcivirus or Myxamatosis (which does not currently have a vaccination in Australia). If your rabbit has not been vaccinated since 1 September 2016 it needs a booster now. If you have any questions or you would like to schedule an appointment for your rabbit to be vaccinated call Warrnambool Veterinary on 5561 2255.